View More In Fans & Cooling - Page 2. 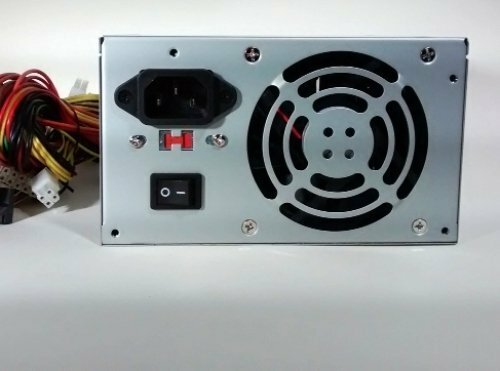 Latest generation PC power supply complete with i7 / i5 / and standard P4 support. UL & FCC certified for safe home and office use. 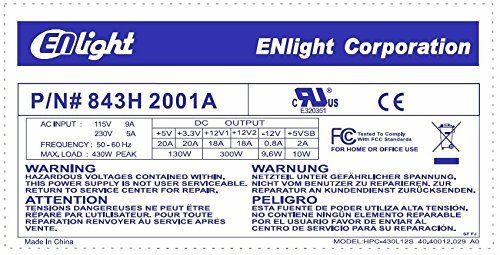 Highly reliable Enlight power supply with intelligent fan control circuitry with built-in thermostat to keep fan speed noise whenever temperature is low, and thus ensuring low-noise operation under most normal operation. 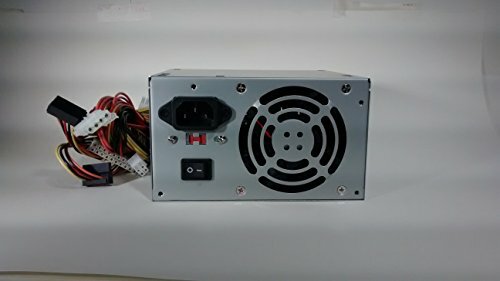 430 Watts output. Supports PCI Express video card. UL Safety Certified, EuP 2010 Lot 6 Compliant. Supports up to four (4) SATA drives and (3) PATA drives. 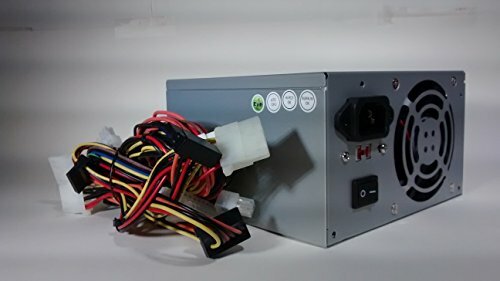 Supports motherboards with 12V 4pin or 12V 8pin power connector, AC Power Cord Included. Compatible Dell Desktop PC Models: XPS 435MT 400 410 420 430, Inspiron 518, 519, 530, 531, 537, 540, 541, 545, 546, 560, 570, 580, 620 Mini Towers. If you have any questions about this product by ENLIGHT, contact us by completing and submitting the form below. If you are looking for a specif part number, please include it with your message.